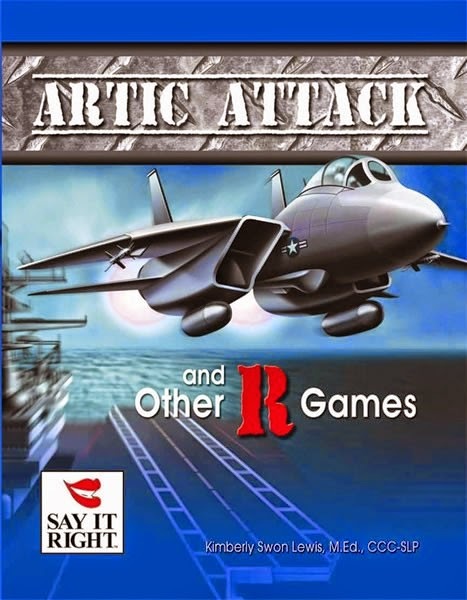 A few years ago the Say It Right company published two books by me--Artic Attack and other R Games and Artic Attack and other S/Z games. Both follow the Say It Right system, meaning that there are specific games are included for each vocalic R and position as well as the "starter" /ts/ sound for /s/. I'm so happy to say that I finally have a FREE worksheet from each book for you to enjoy! Simply click the links below to go to the full item description and click on "preview" for the free download. (Plus, while I'm in ASHA all of my hard goods are 20% off!). Thank you! Wishing you and your family a cozy and blessed Thanksgiving!